Kathleen Woods (Associate), Chair, has spent more than 30 years in the health care field as a practitioner, educator, and administrator. A graduate of Siena Heights University in Adrian, Michigan with a BS in Biology and Wayne State University in Detroit, Michigan with an MSW, she provides consultation to hospice programs. She and her therapy dog, Irish Marie, also volunteer locally. Kathleen is a seasoned healthcare professional with extensive progressive administrative and new program development experience. During her career she has served on many health related boards and is considered a diplomat in Clinical Social Work. Sister Pat Leonard, OP, Vice Chair, an Adrian Dominican Sister, is in her third year as Associate Director of St. Ann Place, a homeless hygiene center in West Palm Beach, Florida. While serving for 11 years in the Congregation’s Finance Office, she earned a master’s degree in not-for-profit administration from the University of Notre Dame. Before that, she served for 11 years at St. Leonard’s Ministries, Chicago, which offers residential, education, and employment services to those formerly incarcerated in Illinois. As the agency’s finance director, she earned her master’s in social work the University of Illinois-Chicago and served as Director of Social Services at St. Andrew’s Court, a program of St. Leonard’s Ministries. Sister Pat later became a social worker and guidance counselor at Maria High School, an all-girls school in inner-city Chicago, and as Director of Formation for the Adrian Dominican Sisters. Marcy Brown, Vice President in Commercial Treasury Management at First FederalBank, Adrian, Michigan, has worked in banking for 23 years. Her experience includes work in customer service, new accounts, merchant sales and services, electronic banking and product development, consumer and commercial lending, and retail administration. One of the highlights of her career has been chartering a small bank in Ann Arbor, Michigan. Marcy currently chairs two boards in the Adrian, Michigan area: the Bixby and Herrick (Hospital) Foundations and the ATHENA Lenawee Council. Marcy has certification through the Michigan Bankers Association and American Institute of Banking. Currently, she is pursuing a Certified Treasury Professional (CTP) Certification. Lloyd Van Bylevelt, an Associate of the Adrian Dominican Sisters, has served for the Peace Education Foundation in Miami for over 20 years, the last 10 as president. He oversees the Foundation’s endowment and hopes to learn from the Adrian Dominican Sisters’ pioneer role in socially responsible investing. Through his work with the Foundation, he has maintained close ties with the Confederation of Dominican Sisters in Latin America and the Caribbean (CODALC). He holds a bachelor’s degree from the University of Tallahassee, Florida, in international affairs and psychology and a master’s degree in Latin American Affairs from Georgetown University’s School of Foreign Service. Sr. Marilín Llanes, OP received a business degree from Barry University and worked in many positions in financial institutions. Having moved to San Antonio, Texas, she managed legal clinics at St. Mary’s University Center for Legal and Social Justice. Sister Marilin holds a master’s in mental health counseling from St. Mary’s University and a graduate degree in school psychology from Trinity University. Sister Marilín has served as a licensed school psychologist in school districts in San Antonio, Texas and Joliet, Illinois. Sister Mary Priniski, O.P., Ph.D. is a graduate of the University of Detroit; earned a Masters in Health Care Mission from Aquinas Institute of Theology in St. Louis and received her doctorate in Missiology from the Union Institute based in Cincinnati. She has served in various social justice ministries including coordinator of Connective Ministries, director of the Commission on Justice of the Glenmary Home Missioners and executive secretary of the Labor Guild of the Archdiocese of Boston. Mary is Project Coordinator for Gathering for Mission, a project of the Catholic Committee of the South engaging church leadership on all levels in dialogue with the voice and vision of Pope Francis. Previously she served as MidAtlantic Chapter Prioress for the congregation. She has spent most of her ministerial life engaging in social justice issues, particularly the rights of workers. Leslie Watson is Analyst for the Community Grants, Investments, and International Health program for Dignity Health. Prior to Dignity Health, Leslie occupied leadership roles in organizational development and training, including Principal Analyst, Controller's Office at the University of California; Program Administrator, Kern County's Head Start program; and Vice President, Performance Improvement and Organizational Development at Bank of America and First Franklin Mortgage. Leslie started out her career as Credit Analyst and Marketing Officer for Bank of California and Citibank. Leslie has been past Founder and President of the North Carolina Organizational Development Network, and Executive Council member of the Episcopal Diocese of California. Leslie has a BA degree in Economic History from the University of Pacific and BM and MM degrees in Viola Performance from the Manhattan School of Music. Since 2011, Sister Elise has served as Director of Communications, also overseeing Technology until 2014. She previously served as co-director of Santuario Sisterfarm, an eco-spirituality center in the Texas Hill Country, and as founding editor of Sor Juana Press. Sister Elise had previously served as Director of Communications and Development for St. Mary’s University School of Law in San Antonio; Vice President for Membership and Media Communications for Common Cause in Washington, DC; and as a communications, development and management consultant to numerous national and regional non-profit organizations. Kristine Cooper started working with the PAB in October 2013 as Executive Assistant after serving six years as a receptionist at Weber Center. Prior to working on the Adrian Dominican Sisters Campus, she spent 17 years as a cashier at Adrian Public Schools. In December of 2016 Kristine assumed the title of PAB Specialist and works in consultation with members of the PAB Board to keep the day-to-day operations of the office running smoothly until a new Director is in place. Kristine feels blessed with three wonderful sons. She was born in Tecumseh, MI and has lived her whole life right here in Adrian. Her hobbies include scrapbooking/card making and making beaded jewelry. She also has three dogs that keep her busy — Kaylee, a yorkie-poo; Maggie, a yellow lab; and Hollie, a yorkie. Pat Zerega joined Mercy Investment Services as director of shareholder advocacy in 2011 and became senior director of shareholder advocacy in 2013. Pat has more than 15 years of experience in corporate social responsibility, both with the Evangelical Lutheran Church in America and as an independent consultant. She previously served as director of the AIDS Interfaith Care Teams in Pittsburgh and as director of the Christian service department of the Archdiocese of Detroit. She serves on the board of directors of the Interfaith Center on Corporate Responsibility, Goodweave USA and Residential Care Services. Pat holds a bachelor's degree in psychology and a master's degree in rehabilitation counseling from West Virginia University as well as a certificate in Organizational Development from the Gestalt Institute of Cleveland. 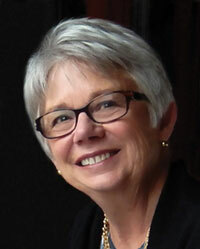 Sister Judy is Coordinator of the Northwest Coalition for Responsible Investment (NWCRI) in Seattle, Washington. 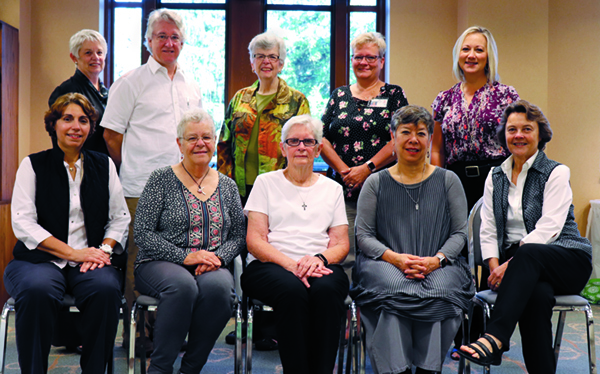 The Adrian Dominican Sisters are members of NWCRI. Sister Judy engages companies on issues of global health, water, human rights and human trafficking and child labor in the supply chain. Sister Corinne Florek, OP, Director of the Religious Communities Investment Fund and the Mercy Partnership Fund, has been involved in community investments since 1980, when she fostered cooperatives in Appalachia. She returns to the PAB after having been one of its earlier members. Sister Corinne has also directed the economic development program for the Catholic Campaign for Human Development (CCHD); managed the microenterprise loan fund and then served as interim executive director for Women’s Initiative for Self Employment (WISE); and coordinated Justice Organizers, Leadership, and Treasurers (JOLT), a coalition of faith-based organizations. Sister Corinne holds a master’s in business administration from the University of Notre Dame. Dee Joyner (Associate), Director of Resilient Communities, has worked at Commerce Bank in St. Louis, Missouri for 23 years. She began in the Commerce Trust Company, then moved on to Human Resources. Before that, Dee worked for 11 years for the St. Louis County Executive as planning director, economic development director, and chief of staff. She is active with the Adrian Dominican Associates in St. Louis and serves on the board of Aquinas Institute of Theology, a Dominican graduate school in St. Louis. Dee holds a bachelor’s degree and a master’s degree in government and urban planning from Southern Illinois University in Edwardsville and a master’s degree in business administration from St. Louis University. PAB Board Members and staff at their meeting in September 2018. Sister Mary Priniski, OP, Sister Pat Leonard, OP, Leslie Watson, Sister Elise García, OP.